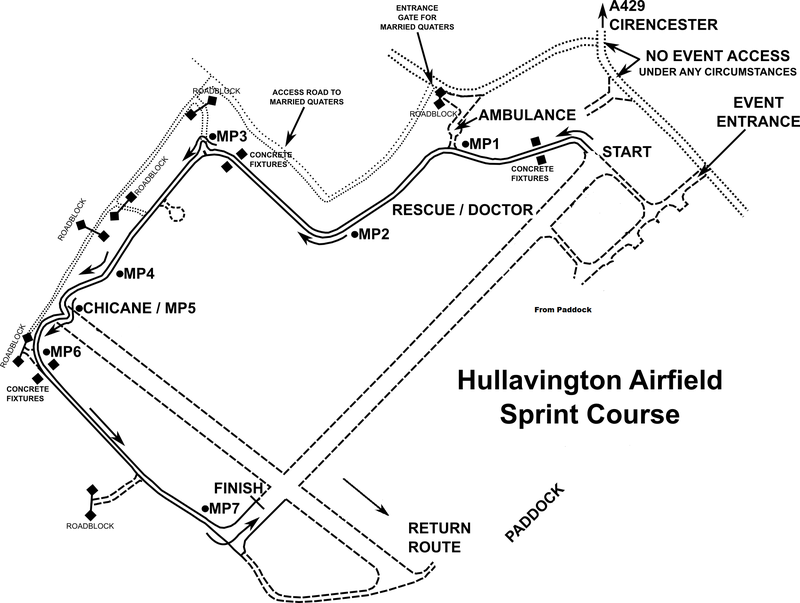 My first driving event of 2015, was to be a sprint at a new venue for sprinting and myself – Hullavington Airfield. The course looked good from the map’s provided, and on the convoy run you could tell it was going to be fast. On the first couple of practice runs I had the class lead (Class A3), on reflection the sprint regulars were at lot more conservative on their practice runs, where as us Rally & Autotest/solo types are used to having to be ‘on it’ from the beginning. After my first run I stiffened up the front shocks two more clicks in order to reduce the amount of rear wheel lifting in mid-corner. Once I had done this the new rear suspension was working well, not too stiff but it helps lower the car and keep it all planted on the ground. There was to be one timed run before lunch and three after lunch. My first timed run, was a bit of a banker run to get a good’ish time in. Then after lunch I was all over the shot, a very messy run, feeling ‘cold’ after lunch and cold tyres didn’t help with this. My third run was a lot better smoother and faster, and I didn’t think there was much more to be gained time-wise. At the end of the run I knew it had been fast and had left very little more that I could have pushed, I was very pleased to come in second in class and a good overall position beating many ‘faster’ cars. The event proved to be very useful as a shakedown and test of the new suspension and to remind me of how to drive on tarmac as the last event I drove on was the Power Stage of WRGB on very wet gravel – very different to dry sticky tarmac! Now it is all about the final prep for Woodbridge stages this weekend, with Lizzie Pope on the maps. Now to review some videos of Woodbridge last year to prep for the weekend. This entry was posted in Uncategorized on March 24, 2015 by projectmicra.